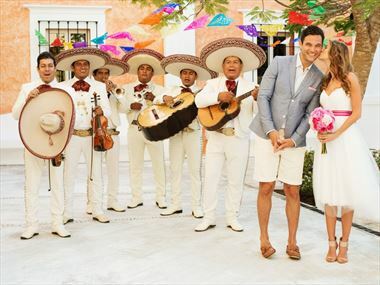 If you’re looking for a wedding celebration that offers the best of Central and South American flavors, plus the beautiful beaches and crystal clear seas that the Caribbean does so well, then Mexico could be the perfect wedding destination for you. It offers a magical mix of color, energy and history. Staying in one of the beautiful resort hotels in Cancun gives you and your partner the chance to experience the best that Mexico has to offer. Explore the huge temples, colonial churches and pyramids for a living reminder of the mighty civilisations that flourished in Mexico over 2,000 years ago. However you choose to spend your wedding stay in Mexico, our team of experts can help you plan your perfect celebration. Call Tropical Sky and let us help you make your wedding extraordinary. 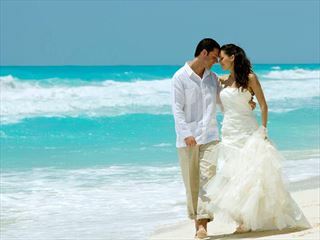 Why book your Mexico Wedding with Tropical Sky?